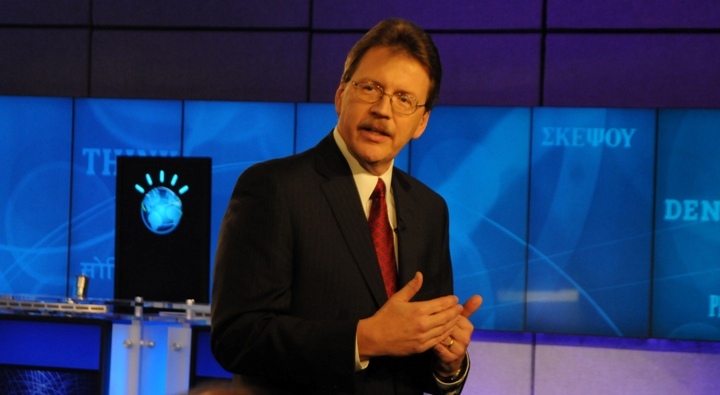 Indianapolis and Armonk, N.Y., USA - September 12, 2011 - WellPoint, Inc. (NYSE: WLP), and IBM (NYSE: IBM) announced an agreement today to create the first commercial applications of the IBM Watson technology. Under the agreement, WellPoint will develop and launch Watson-based solutions to help improve patient care through the delivery of up-to-date, evidence-based health care for millions of Americans. IBM will develop the base Watson healthcare technology on which WellPoint's solution will run. 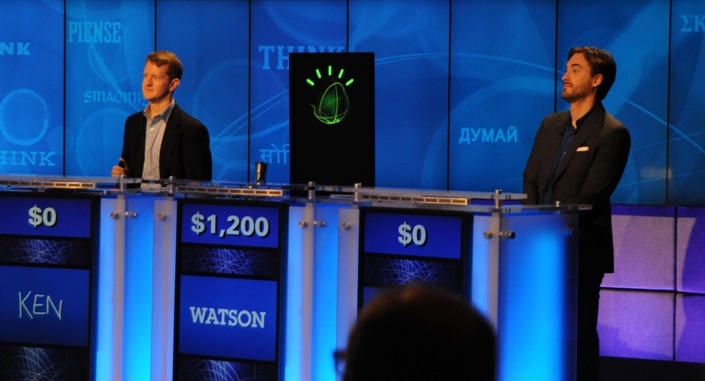 IBM's Watson computer system, powered by IBM POWER7, competes against Jeopardy! 's two most successful and celebrated contestants - Ken Jennings and Brad Rutter. Jeopardy! will broadcast an encore presentation of the first-ever man vs. machine Jeopardy! competition airing on September 12, 13 and 14, 2011. WellPoint, Inc. (NYSE: WLP), and IBM (NYSE: IBM) announced an agreement today to create the first commercial applications of the IBM Watson technology. Dr. Eric Brown from IBM Research preps four members of congress - Jared Polis (D-Colo.), Bill Cassidy (R-La. ), Jim Himes (D-Conn.), Rush Holt (D-N.J.) - for an exhibition game against IBM's Watson on Monday, Feb. 28, 2011. The match fostered a conversation among government leaders about the importance of IT to U.S. global competitiveness and encouraged greater focus on math and science education. Final score: Watson $40,300, Congressional Members $30,000. Under the agreement, WellPoint will develop and launch Watson-based solutions to help improve patient care through the delivery of up-to-date, evidence-based health care for millions of Americans. IBM will develop the base Watson healthcare technology on which WellPoint's solution will run. 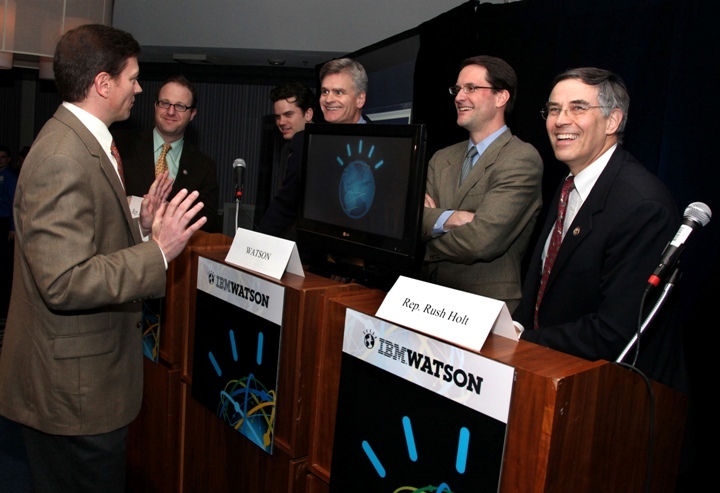 Ken Barker (on left), research scientist, Department of Computer Science and Bruce Porter, professor and department chairman, Department of Computer Science, and a team of researchers from the University of Texas at Austin are collaborating with IBM Researchers to advance the Question Answering (QA) technology behind the "Watson" computing system, which will compete against humans on the quiz show, Jeopardy!, airing February 14-16. Watson, named after IBM founder Thomas J. Watson, is a computing system built by a team of IBM scientists who set out to accomplish a grand challenge – build a computing system that rivals a human's ability to answer questions posed in natural language with speed, accuracy and confidence. 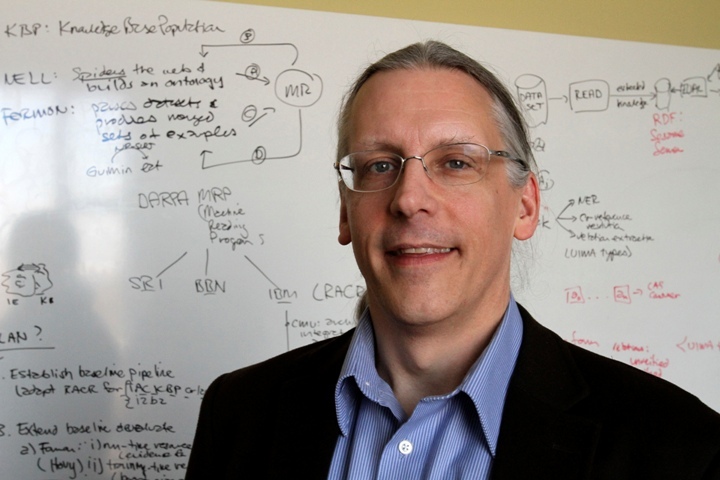 Carnegie Mellon University Researchers Collaborate With IBM Researchers. A team of researchers from Carnegie Mellon University, led by Eric Nyberg, professor, Language Technologies Institute, Carnegie Mellon University School of Computer Science, are collaborating with IBM researchers to develop the Question Answering (QA) technology that enables the "Watson" computing system, which will compete against humans on the quiz show, Jeopardy!, airing February 14-16. Earlier this year, Watson competed and won against two of the most celebrated players ever to appear on Jeopardy!. This historic match is being rebroadcast over three days, beginning today. Massachusetts Institute of Technology Researchers Collaborate With IBM Researchers. 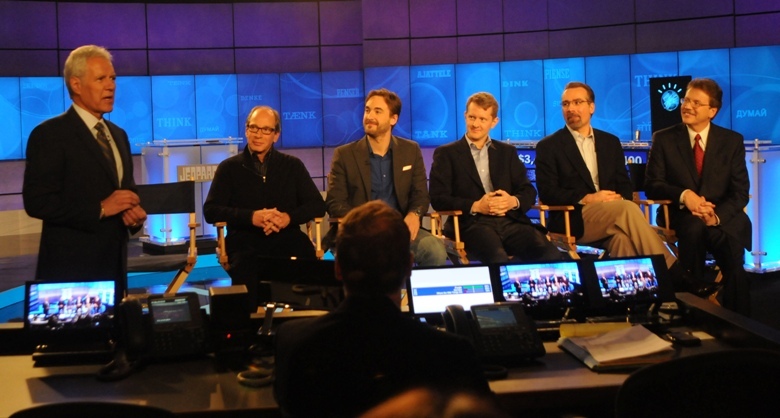 A team of researchers from Massachusetts Institute of Technology, led by Boris Katz, principal research scientist at MIT's Computer Science and Artificial Intelligence Laboratory, is working with IBM Researchers on the development of the Question Answering (QA) technology behind the "Watson" computing system, which will compete against humans on the quiz show, Jeopardy!, airing February 14-16. Watson's ability to analyze the meaning and context of human language, and quickly process vast amounts of information to suggest options targeted to a patient's circumstances, can assist decision makers, such as physicians and nurses, in identifying the most likely diagnosis and treatment options for their patients. Jeopardy! Host, Alex Trebek (standing), leads a Q&A session for reporters during a press conference at IBM's Watson Research Center in Yorktown Heights, NY on January 13, 2011. 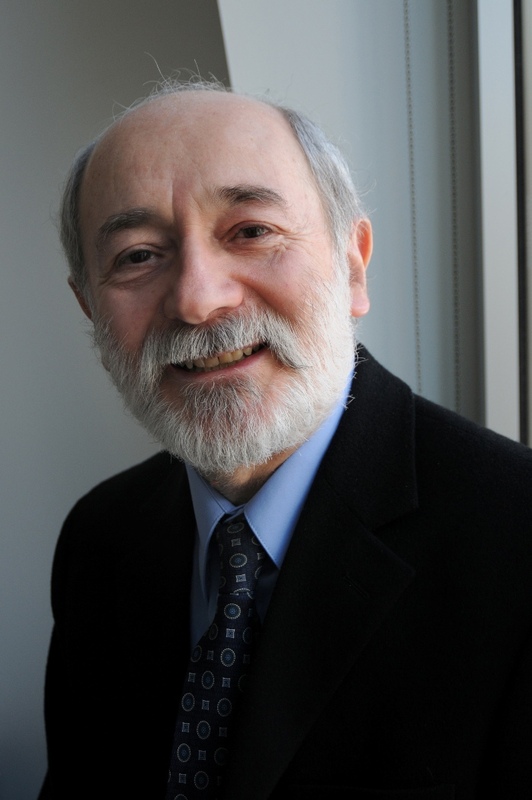 Seated (from left): Harry Friedman, Executive Producer, Jeopardy! ; Brad Rutter, Jeopardy! record holder for the highest cumulative amount ever by a single player, earning $3,255,102; Ken Jennings, Jeopardy! 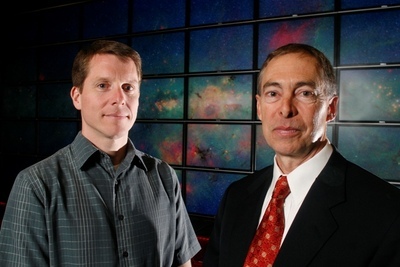 record holder for the most consecutive games played - winning 74 games in a row during the 2004-2005 season - netting more than $2.5 million; David Ferrucci, Principal Investigator of Watson DeepQA technology, IBM Research; and John E. Kelly III, IBM Senior Vice President and Director of IBM Research. In recent years, few areas have advanced as rapidly as health care. For physicians, incorporating hundreds of thousands of articles into practice and applying them to patient care is a significant challenge. Watson can sift through an equivalent of about 1 million books or roughly 200 million pages of data, and analyze this information and provide precise responses in less than three seconds. John E. Kelly III, IBM Senior Vice President and Director of IBM Research introduces IBM's Watson computer system to the media during a press conference at IBM's Watson Research Center in Yorktown Heights, NY on January 13, 2011. Watson competed against Jeopardy! 's two most successful and celebrated contestants - Ken Jennings and Brad Rutter - in the first-ever man vs. machine Jeopardy! competition, which aired on February 14, 15 and 16, 2011, with two matches being played over three consecutive days. Jeopardy! will broadcast an encore presentation of the Jeopardy! : The IBM Challenge on September 12, 13 and 14, 2011. Using this extraordinary capability WellPoint is expected to enable Watson to allow physicians to easily coordinate medical data programmed into Watson with specified patient factors, to help identify the most likely diagnosis and treatment options in complex cases. 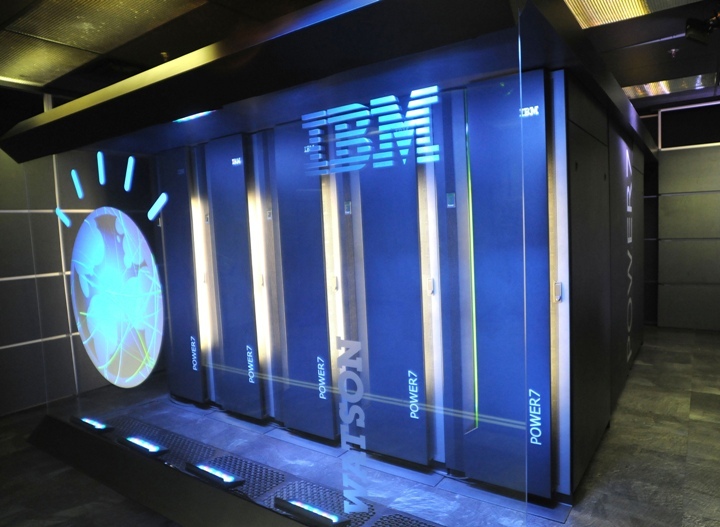 Watson is expected to serve as a powerful tool in the physician's decision making process. Medical conditions such as cancer, diabetes, chronic heart or kidney disease are incredibly intricate. 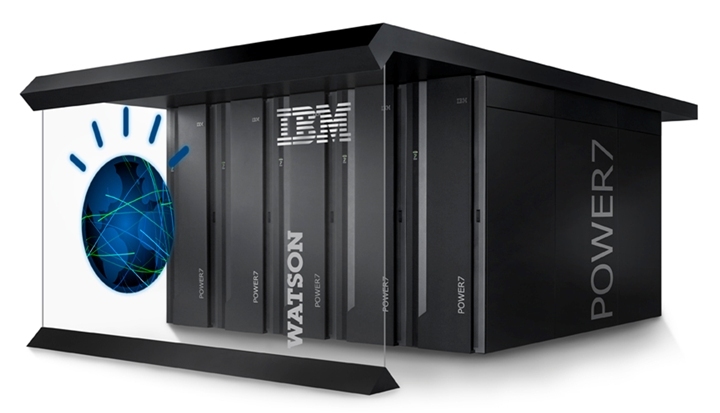 Watson, powered by IBM POWER7, is a work-load optimized system that can answer questions posed in natural language over a nearly unlimited range of knowledge. New solutions incorporating Watson are being developed to have the ability to look at massive amounts of medical literature, population health data, and even a patient's health record, in compliance with applicable privacy and security laws, to answer profoundly complex questions. For example, we envision that new applications will allow physicians to use Watson to consult patient medical histories, recent test results, recommended treatment protocols and the latest research findings loaded into Watson to discuss the best and most effective courses of treatment with their patients. 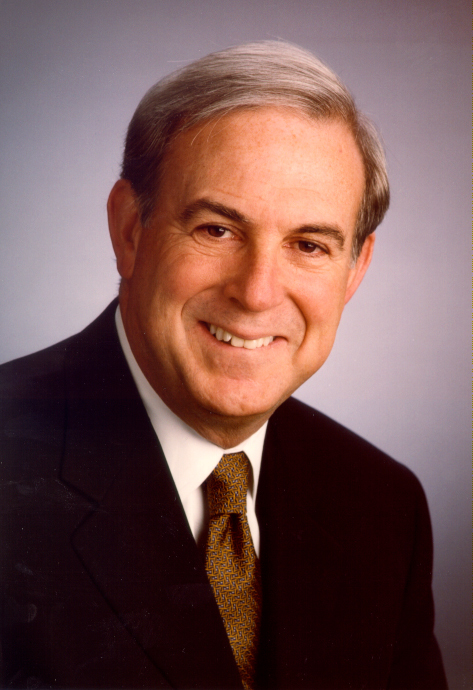 Samuel R. Nussbaum, M.D., WellPoint's Chief Medical Officer. "There are breathtaking advances in medical science and clinical knowledge, however; this clinical information is not always used in the care of patients. Imagine having the ability to take in all the information around a patient's medical care - symptoms, findings, patient interviews and diagnostic studies. Then, imagine using Watson analytic capabilities to consider all of the prior cases, the state-of-the-art clinical knowledge in the medical literature and clinical best practices to help a physician advance a diagnosis and guide a course of treatment," said Sam Nussbaum, M.D., WellPoint's Chief Medical Officer. "We believe this will be an invaluable resource for our partnering physicians and will dramatically enhance the quality and effectiveness of medical care they deliver to our members." Watson may help physicians identify treatment options that balance the interactions of various drugs and narrow among a large group of treatment choices, enabling physicians to quickly select the more effective treatment plans for their patients. It is also expected to streamline communication between a patient's physician and their health plan, helping to improve efficiency in clinical review of complex cases. It could even be used to direct patients to the physician in their area with the best success in treating a particular illness. 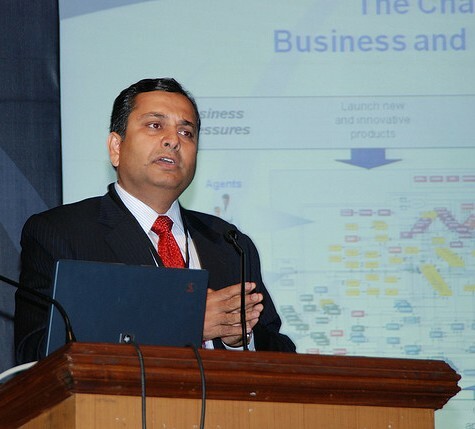 Manoj Saxena, general manager, Watson Solutions, IBM Software Group. "With medical information doubling every five years and health care costs increasing, Watson has tremendous potential for applications that improve the efficiency of care and reduce wait times for diagnosis and treatment by enabling clinicians with access to the best clinical data the moment they need it," said Manoj Saxena, general manager, Watson Solutions, IBM Software Group. "WellPoint's commitment to innovation and their work to improve how care is delivered and benefits administered make them an ideal partner for IBM's software and services to pioneer new efficiencies in health care." 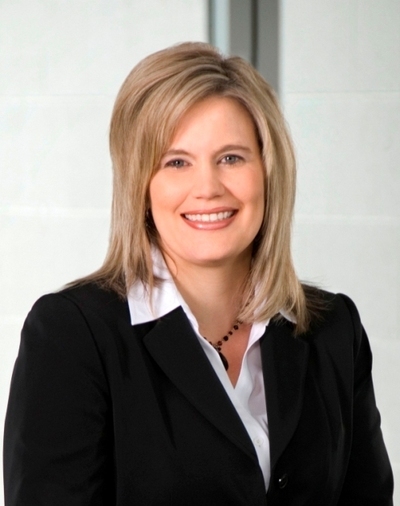 Lori Beer, WellPoint's executive vice president of Enterprise Business Services. "The implications for health care are extraordinary," said Lori Beer, WellPoint's executive vice president of Enterprise Business Services. "As one of the nation's largest health insurers, we have an important role to play in helping to improve health care quality. We believe new solutions built on the IBM Watson technology will be valuable for our provider partners, and more importantly, give us new tools to help ensure our members are receiving the best possible care." WellPoint works to simplify the connection between Health, Care and Value. We help to improve the health of our members and our communities, and provide greater value to our customers and shareholders. WellPoint is the nation's largest health benefits company in terms of medical membership, with 34 million members in its affiliated health plans, and a total of more than 70 million individuals served through its subsidiaries. As an independent licensee of the Blue Cross and Blue Shield Association, WellPoint serves members as the Blue Cross licensee for California; the Blue Cross and Blue Shield licensee for Colorado, Connecticut, Georgia, Indiana, Kentucky, Maine, Missouri (excluding 30 counties in the Kansas City area), Nevada, New Hampshire, New York (as the Blue Cross Blue Shield licensee in 10 New York City metropolitan and surrounding counties and as the Blue Cross or Blue Cross Blue Shield licensee in selected upstate counties only), Ohio, Virginia (excluding the Northern Virginia suburbs of Washington, D.C.), and Wisconsin. In a majority of these service areas, WellPoint does business as Anthem Blue Cross, Anthem Blue Cross and Blue Shield, Blue Cross and Blue Shield of Georgia, Empire Blue Cross Blue Shield, or Empire Blue Cross (in the New York service areas). WellPoint also serves customers throughout the country as UniCare. include the hashtag #ibmwatson in a tweet.